We celebrated Christmas Eve with the family last night and had an excellent dinner of salads with vinaigrette and sesame dressing, honey baked ham, smoked salmon, roasted rack of lamb, iberico Ham, rilettes with bread, cheeses from London, durian log cake, chocolates, champagnes and wines. Today, my version of Christmas lunch is simpler… In place of smoked salmon, I made sautéed salmon. The Christmassy turkey was replaced by chicken meatballs. 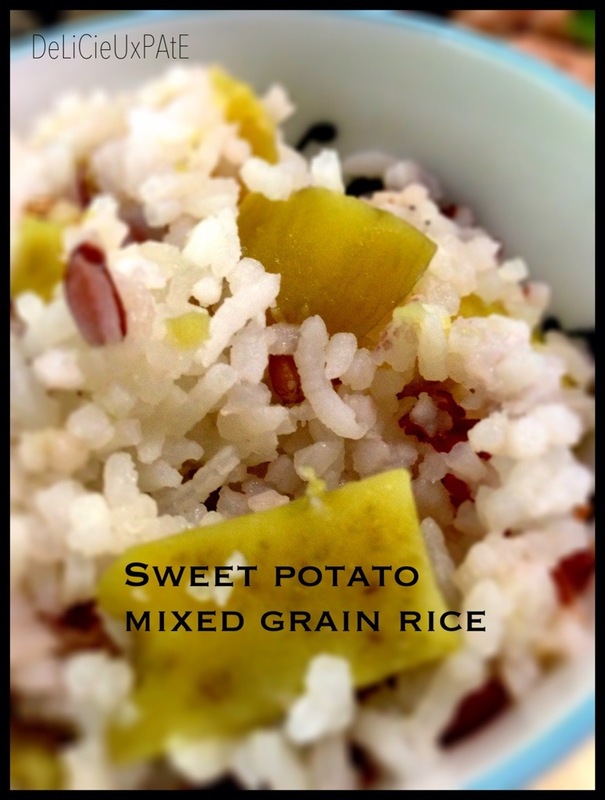 Bread was replaced by sweet potato and mixed grains rice. 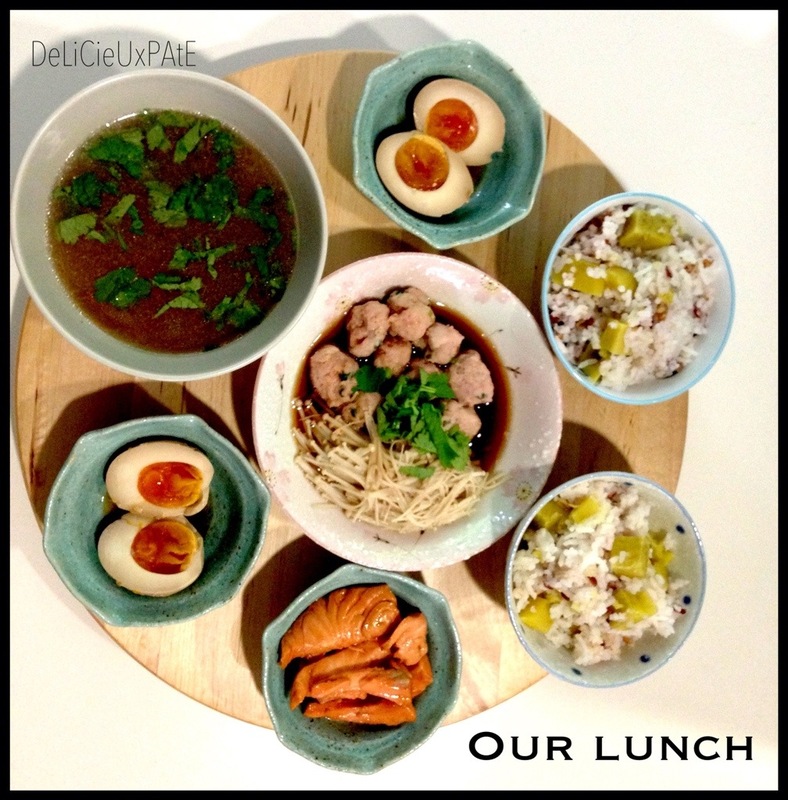 There was also ajitsuke tamago (lava egg) and chicken soup. 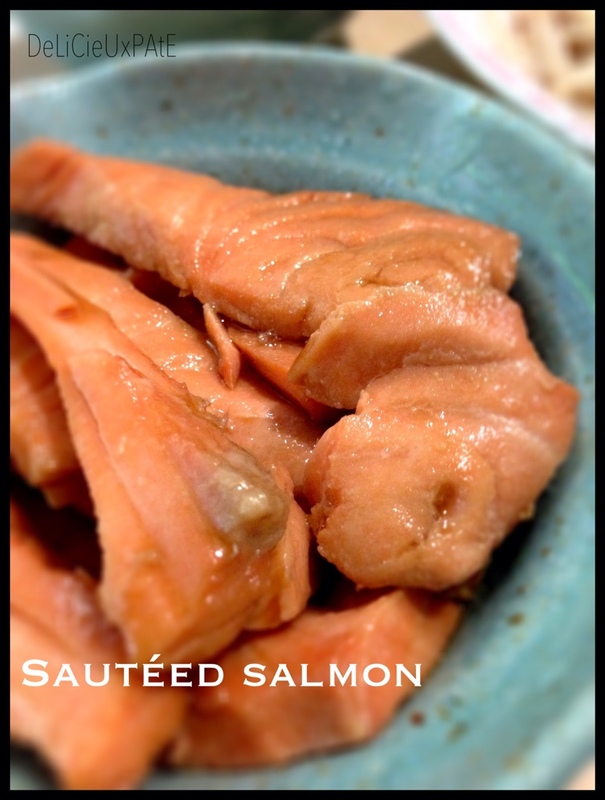 Sautéed salmon was made with katsuo atsukezuritsuyu (dried fish extract soy sauce) and mirin. 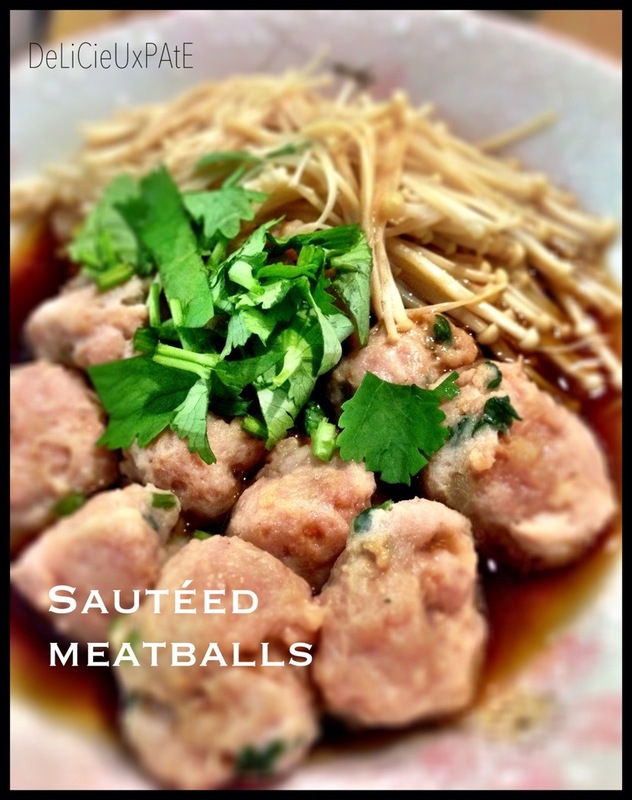 Chicken meatballs were lightly marinated lightly, cooked in chicken stock and sautéed quickly in the leftover katsuo atsukezuritsuyu and mirin used to prepare the salmon. 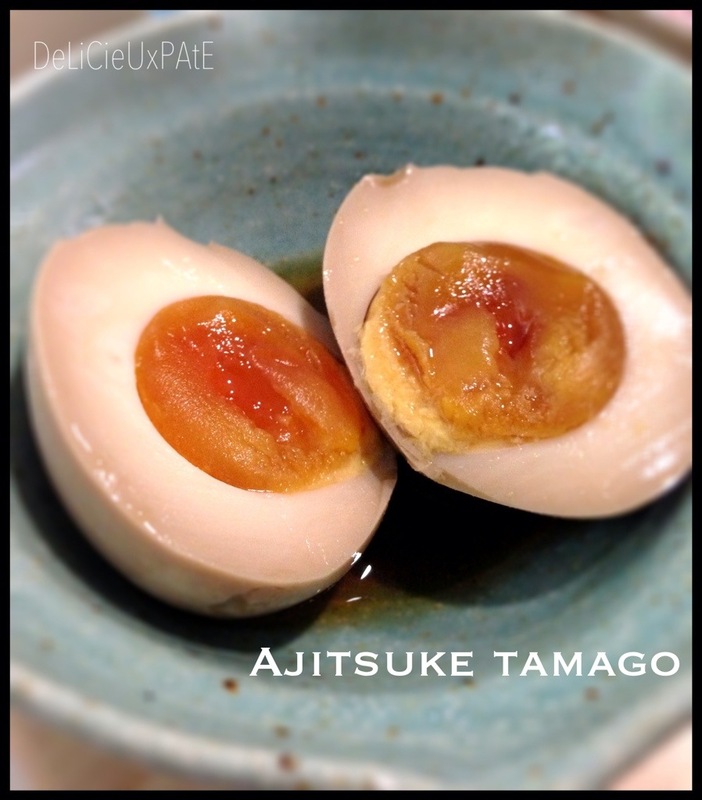 Ajitsuke tamago was prepared a day or two earlier, simply boil the eggs for 7min, peel the shells and soak them in equal parts of katsuo atsukezuritsuyu and water. 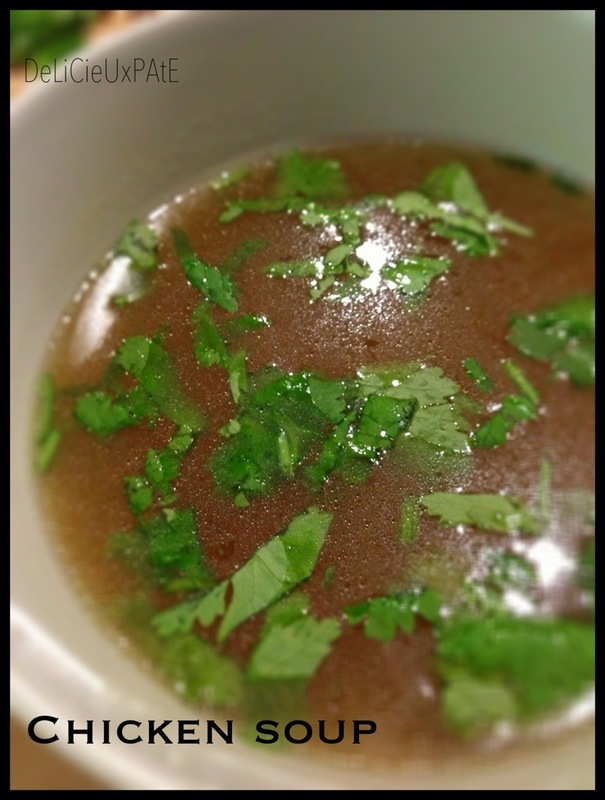 Place in fridge till ready to serve. Easy! Most if the time, I’ll have frozen mixed grain rice made just like normal rice, no soaking required before cooking so the rice is a little hard, making it taste just right, upon 2nd round of cooking. 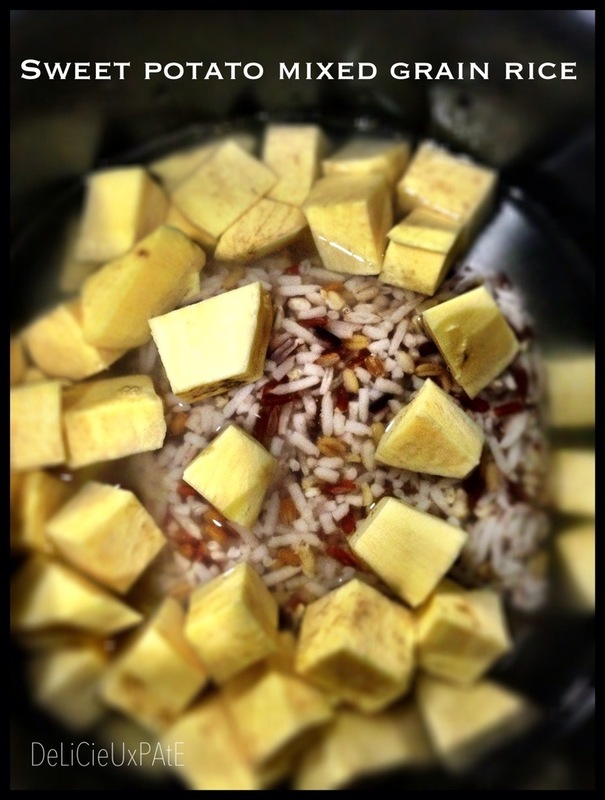 So, making sweet potato mixed grain rice was a breeze. First, peel the sweet potato and cut them into desirable cubes. Place an appropriate amount of white rice (uncooked) with water in an electric rice cooker, put in the frozen mixed grain rice and sweet potato cubes and cook as you would for normal rice.